Funny story: So, I’m shooting late one night (my usual, about 1 AM) in downtown Redwood City in front of the fountains at the old courthouse square and a car pulls up next to me and rolls down the window. Driveby?! Hardly… Nadine introduced herself and told me that she was organizing a fundraising event for children’s cancer research. She stopped to ask me if I would be willing to donate my time to be a photographer for her event. HA! Maybe you had to be there…. 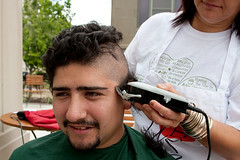 St. Baldrick’s is a charity event where people shave their heads to show their solidarity with children that have lost their hair due to chemotherapy. An invitation was extended to all of the members of the Redwood City Council and councilman Ian Bain stepped up to the plate helping to attract some media attention from a local newspaper. 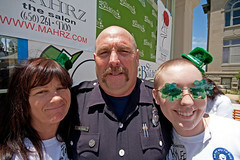 You can find out more about St Baldrick’s by checking out their website. 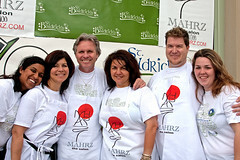 I had a great time shooting this event that took place outside the old Redwood City courthouse at The Daily Boost. The weather was decent (but not great), there were lots of activities, I got a free haircut and I had a great time hanging out with all of the other volunteers and participants. 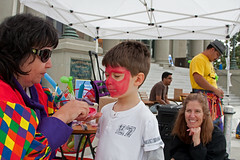 There was an excitement in the air as kids got their faces painted, listened to story time with the princess, got their heads shaved or just danced on the courthouse steps as the DJ cranked some tunes. 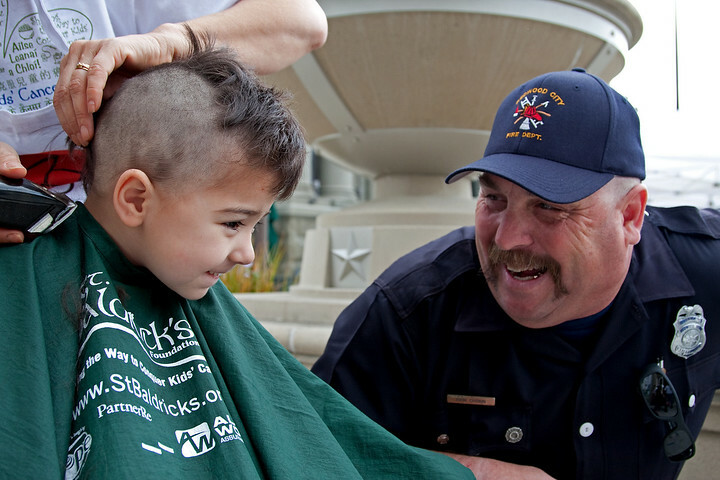 Check out the pics in the gallery and please check the Redwood City St Baldrick’s website for information about next year’s event! 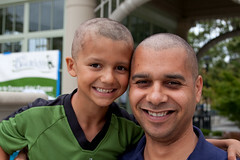 This entry was posted on Thursday, June 18th, 2009 at 2:00 am	and is filed under Blog, Photos and tagged with charity, shave your head, shaving, st baldricks. You can follow any responses to this entry through the RSS 2.0 feed. Love the entry Joe!!! You did such an awesome job, I can't wait to work with you on the next event!